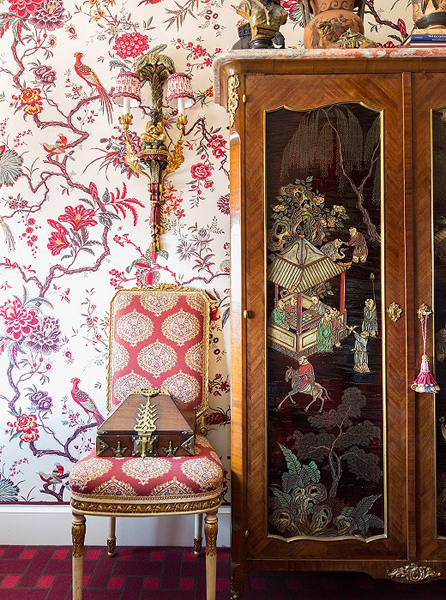 A few months ago, I paid my annual visit to the Kips Bay show house in New York City. 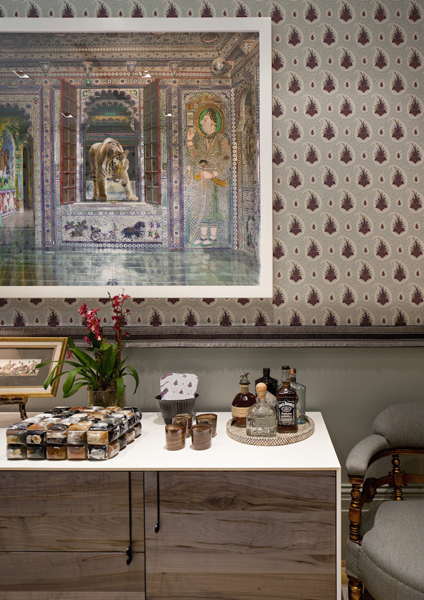 Kips Bay, as it is known among design aficionados, is one of the most renowned show houses in the country. 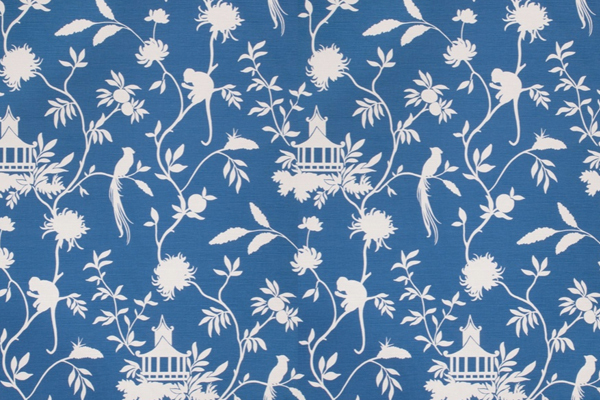 It all began in 1973 when several dedicated supporters of the Kips Bay Boys and Girls Club launched the Kips Bay Decorator Show House to raise critical funds for much needed after-school and enrichment programs for New York City children. Over the course of four decades, this project has grown into a must-see event for thousands of design enthusiasts and is renowned for sparking interior design trends throughout the world. It's such a treat to walk from room to room and get an up-close-and-personal look at the very best that each featured designer has to offer. What I noticed this year was the return of the upholstered wall. 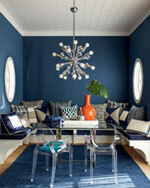 A classic tried-and-true technique in the decorating world, upholstered walls are not for the faint at heart. The pay-off however is quite spectacular. Upholstered walls add a layer of texture and luxury that elevates a room from just ok to custom couture. You can DIY this project, though if you're a beginner you may leave this one up to the professionals. 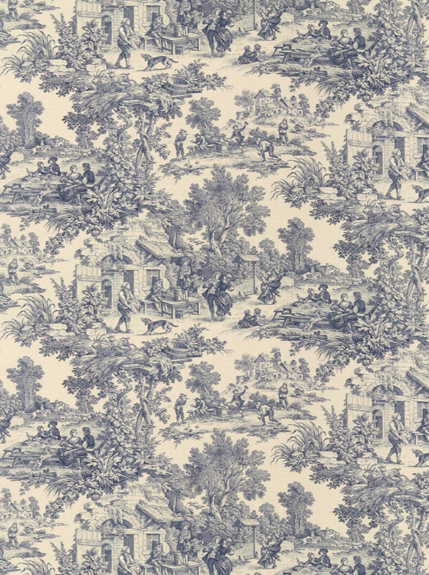 Upholstered walls have the benefit of greatly enhancing a room's acoustics, making them ideal for dining rooms and children's spaces - just make sure to select an easy-care fabric that can be spot cleaned for the latter. In addition, their insulating qualities make this the perfect decorating choice for a drafty entryway or small antechamber. 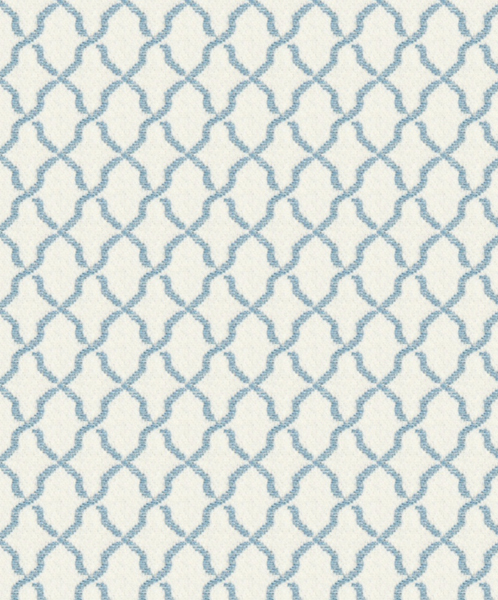 Don't shy away from fabric with a large pattern repeat. 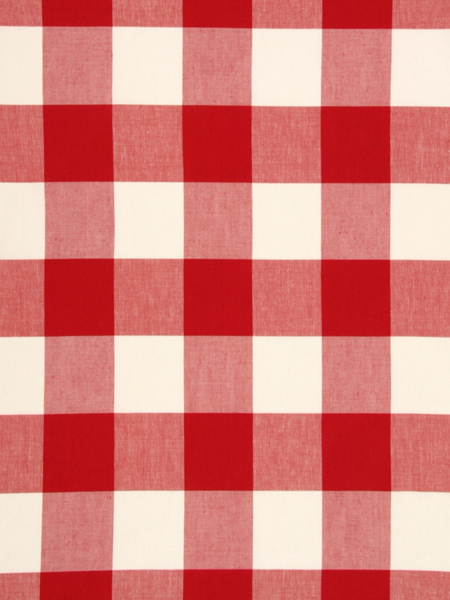 In fact, these are the perfect choice when you're trying to camouflage a room's architectural imperfections or awkward proportions – the overall impact will be dramatic and bold. Just make sure to give some thought to pattern placement before you begin. 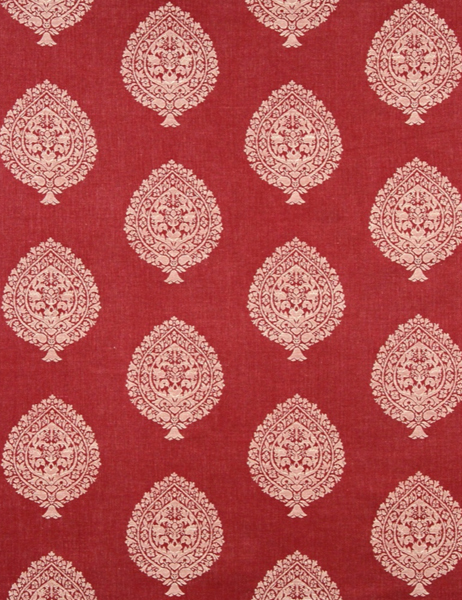 Fabrics with a meandering floral or botanical motif are always a good choice. 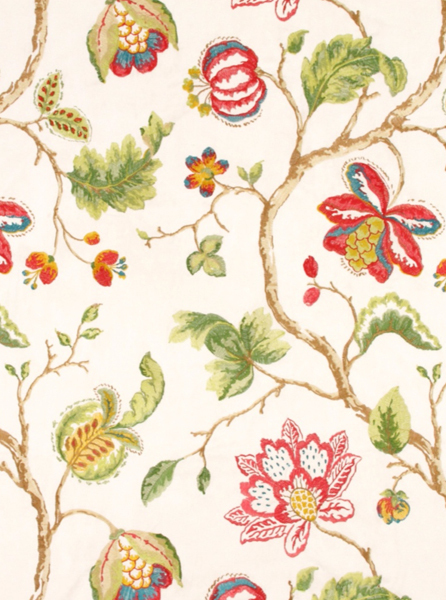 Such pretty natural depictions on your walls will reference the look of traditional scenic hand painted wallpapers, wildly popular in the 18th and 19th centuries. 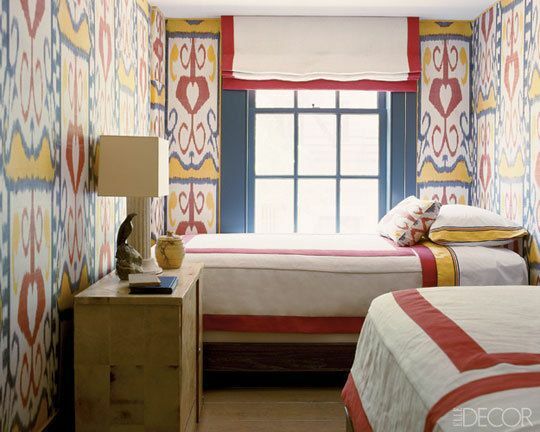 Designer Mark D. Sikes' room at this year's Kips Bay was a celebration of pattern on pattern. 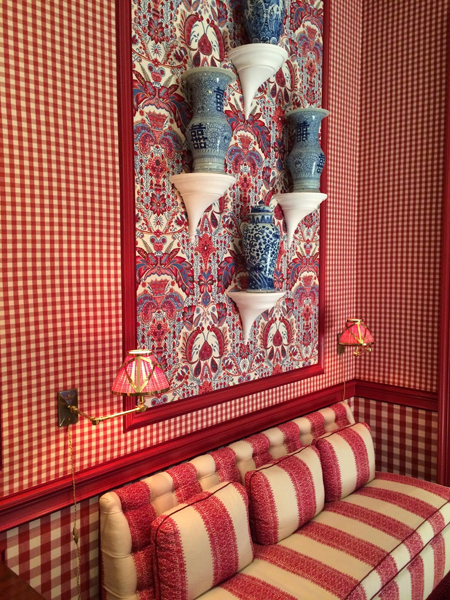 The walls were upholstered in two variants of a red cotton gingham check, separated by a boldly lacquered chair rail and further embellished by large wall insets, featuring yet another coordinating fabric motif. 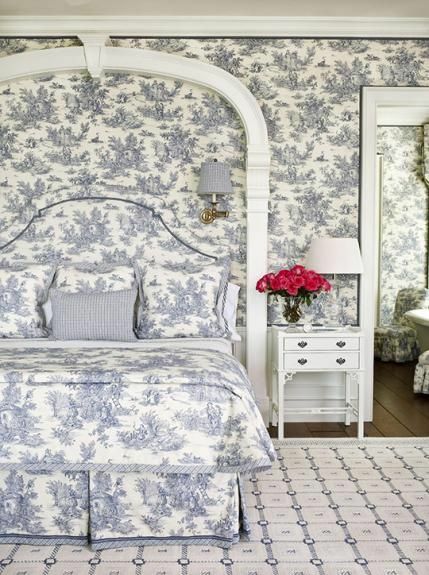 This masterful room design heralded the return to traditional decorating techniques, yet it felt utterly current and compelling. 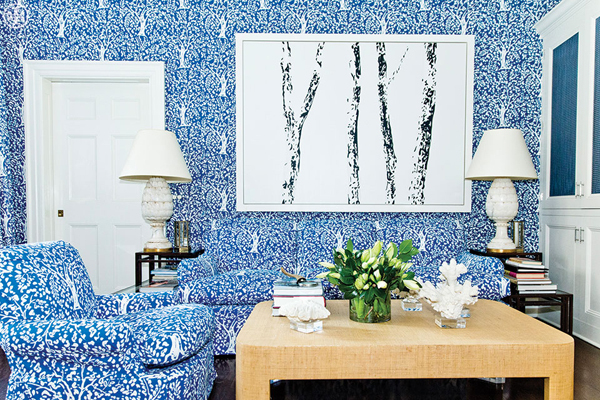 Fashion designer's Tory Burch's “blue” room features a bolder version of this very same idea: the blue and white pattern on walls and overstuffed furniture adds a cool dimension to a smaller room, and it creates a canvas against which flowers and art stand out. 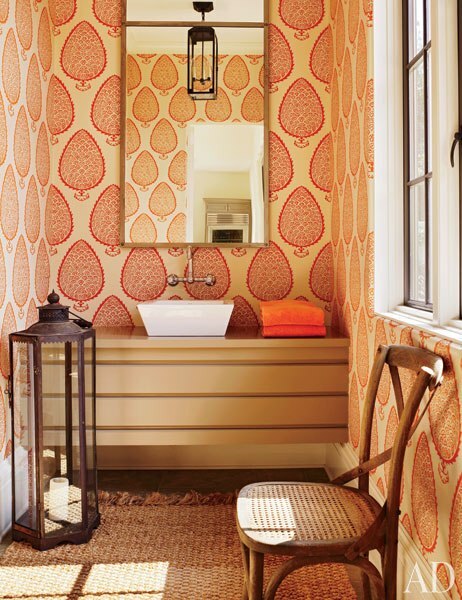 A perfect spot to experiment with upholstered walls is a powder room: this small space is relatively easy to tackle, and an ideal place for a stronger design statement that can be admired regularly. 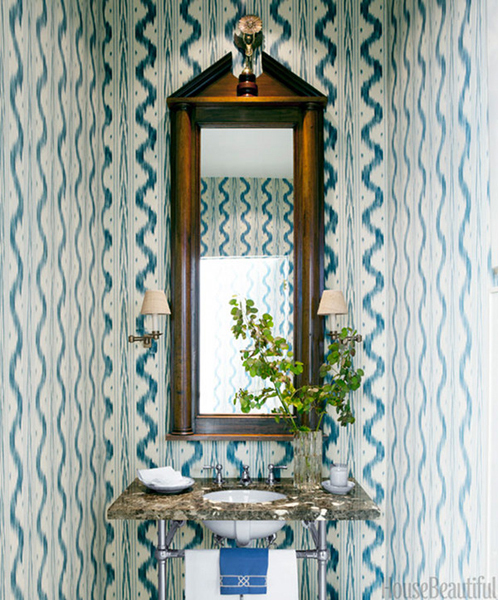 Another brilliant room at Kips Bay was this hallway by Tilton Fenwick, with its eclectic mix of patterns and textures. While the finishing touch for an upholstered wall is usually a self-welt or a narrow tape adhered with nail heads, this design duo upped the ante by applying a brush fringe on the chair rail. It looked amazing! 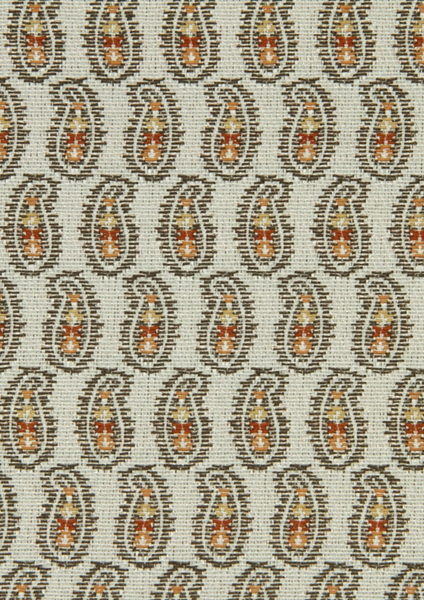 Speaking of nail heads, they can be an eye-catching design element all of their own, when applied in decorative patterns on top of your wall upholstery. Be prepared to do – or listen to - a lot of hammering, but the end result with be a truly “couture” one-of-a-kind design statement. Try this with Calico's Sensuede. Major impact guaranteed! 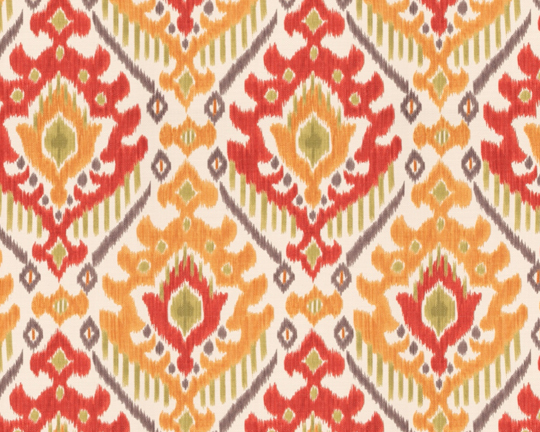 Shop Upholstery Fabric for more inspiration.